You can click on the image, if you wish to enlarge it. Burton Green toddler group leader, Sharon Noble-King, is saying farewell after 20 years. The group will be run by Sonal Sonecha. 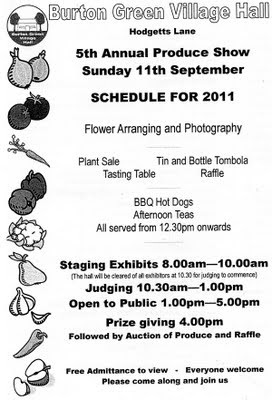 The Water Tower is up for sale (July 2011). The guide price is £395,000. A unique opportunity to convert this water tower into a single residential dwelling. The property has attractive views across open countryside and is situated in a plot of 0.33 acre." "Jerry Marshall, who chairs Action Groups Against High Speed Two (AGAHST), was joined by other anti-HS2 campaigners facing questions in the Houses of Parliament." HS2: None of God's Business? A few years ago, there was a small item in the Westwood Heath church magazine, "None of God's Business?" The article referred to Jerry Marshall's view about the place of commercial business in helping to improve conditions in the third world. You can read more about these ideas on the web: None of God's Business? That was several years ago, but the question stuck in my mind. It's a provocative question: What is God's business? I'd like to pose the question: Is HS2 any of God's business? And what does that mean? I've always thought there were similarities between the threat posed by HS2, and the threat posed by the Superpit. At the time of the Superpit, several people connected with the church seemed to believe that the issue did concern them. 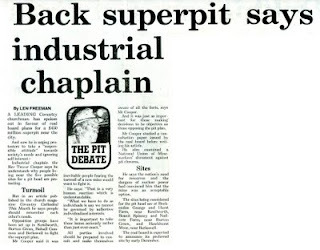 In fact, the church came out in favour of construction the Superpit, on the basis that this would create jobs. You can click on the image at right to enlarge it, if you'd like to see what Rev Trevor Cooper, a local clergyman from Tile Hill, had to say. His views were in alignment with other senior members of the clergy. Coventry Cathedral was also used to mount an exhibition of mining technology. In the event, and fortunately for us, God seemed to ignore the opinions of local clergymen, and the Bishop of Coventry. The Government and British Coal, who had made detailed plans, and who were adamant that the scheme would go ahead, for economic reasons. The villagers, opposed to the scheme, mainly for personal reasons. The church, who wanted the scheme to go ahead, for altruistic social reasons. All the efforts of the local community, and its MPs, to stop the plan failed. There has been some talk recently that we 'defeated' the coal board. That is untrue. The coal board were defeated, but it was not by us. Strangely, and for reasons that had been foreseen by no-one, the scheme fell through. That is the fact. These manner in which these incidents unfolded illuminates the religious views of individuals, more clearly than anything they may say. We can see that the Government doesn't really believe in God; the Government has a rational scientific outlook; the Government believes that it can control events. And the Christian clergy think that religion is about social responsibility. There are other possible viewpoints too. 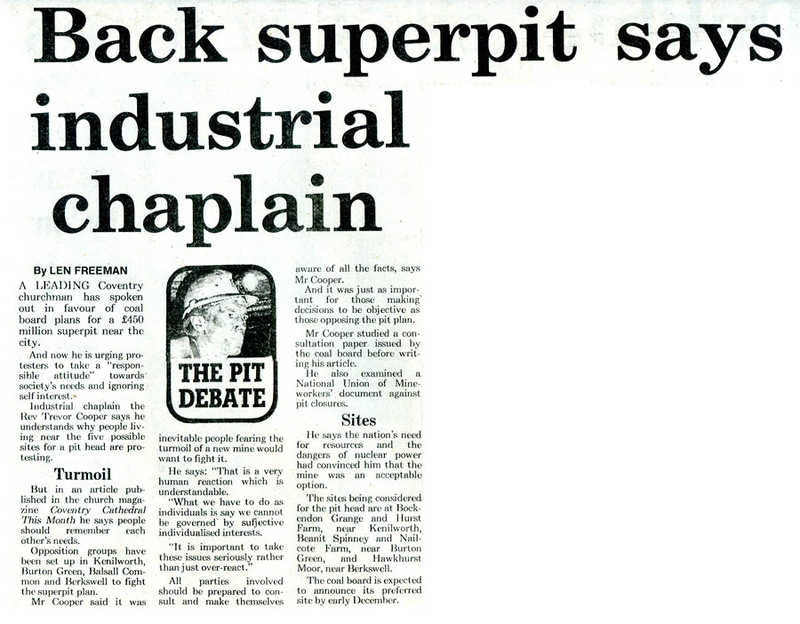 There's more about the secular aspects of the Superpit affair on a separate page: The Superpit.